This is Megan displaying her fishing contest entry. 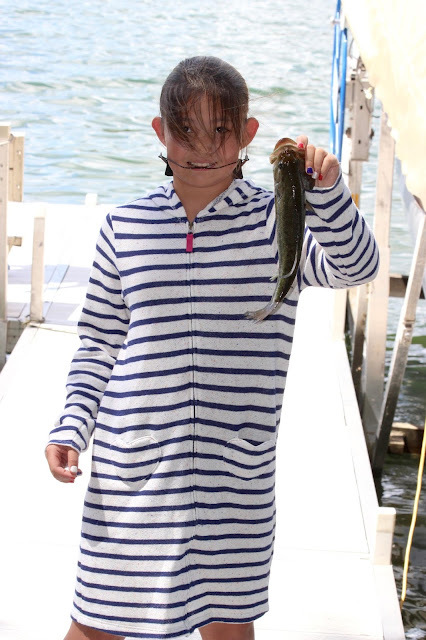 She caught it on Long Lake the morning of July 3rd using a leech for bait. Megan was with Jeremy Anderson and her cousins at the time of the catch - all visiting their grandparents. She proudly enjoyed dining on her catch at a fish fry dinner later that day.